Just in time for the warm weather, Electrolux and Kelly Ripa are kicking off their Virtual Lemonade Stand campaign to drive awareness and raise funds for the Ovarian Cancer Research Fund. Starting this month, you can visit electroluxappliances.com to design and open your own virtual lemonade stand and even pick the flavors of lemonade you want to feature at your stand, like Sparkling Ginger or Rosemary Watermelon. 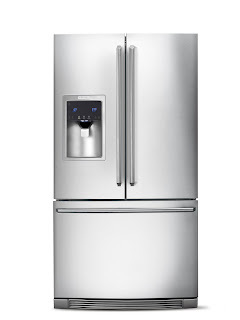 In addition, Mom Central will be giving away one French Door Refrigerator to a member of the community! * To enter, simply go to momcentral.com and (1) tell them about the lemonade stand you designed on the Electrolux site and which flavors you are ‘selling’ and (2) share your own “summer entertaining” tips/ideas. Mom Central will pick one lucky winner in a random drawing from all entries received! Please take a minute to stop by my Lemonade Stand and make a donation, if you are able.